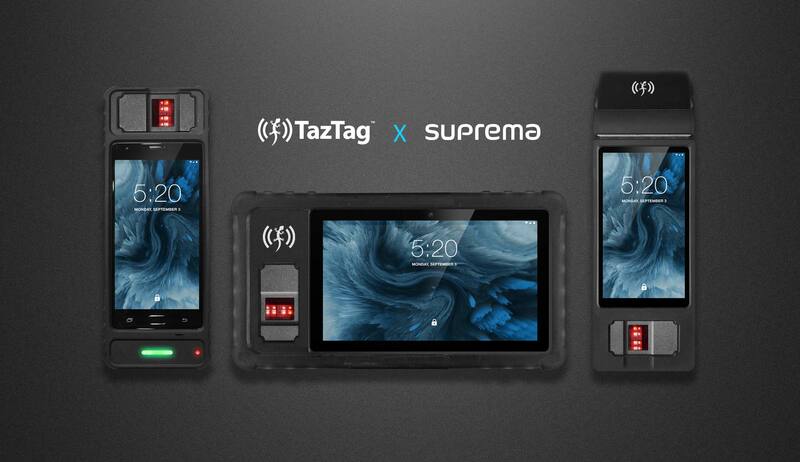 For its 10 years anniversary, Taztag introduces a brand new product line for 2018. The new range focuses on ruggedization features and professional high-end biometry with FAP20 Suprema fingerprint sensor. TazPad LTR is a IP64 biometric tablet with a new light and thin design, featuring FAP20 biometry. TazPad eXS is a shock & dust proof android handheld ultra slim device with FAP20 fingerprint sensor. TazPoS is a robust EMV & PCI certified payment terminal with FAP20 biometric authentication. Feel free to contact us for any information about our new product line.